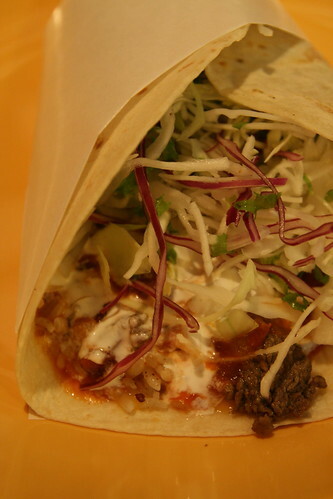 Not the prettiest of burritos, but at 6,500 won for one of these plus a soft drink, Dos Tacos offers a good lunch deal. You can find them in Gangnam, Apgujeong, Hongdae and Seoul Square. Visit their website here.